Minimizes contact on the anterior tibia. Contact at proximal tibia and footplate ONLY. Super-flexible calf band conforms to every patient. Malleolus relief is precisely positioned to match the anatomical contours of the patient. The lateral strut is fabricated to maintain a 1/4-in. offset, thereby eliminating potential contact with patient. While other companies race to find a coating that wont peel, or a cover that wont run, we decided to change the properties of the silicone. Evolution Silk is a breakthrough in silicone chemistry, allowing for a surface that will slide on itself for easy donning and doffing, while still keeping all the desirable properties of our traditional platinum-cured silicone. Available in custom cushion or pin designs. Sometimes simple is best. Use Bondo and scotch cast to mount the socket on the alignment plate, and move your four-bolt adaptor anywhere you want. Add an angle plate, and youre set. Yes, its large, but youll be amazed at the time it can save. Once the alignment is complete, swap it out for one of our mounting plates. The CaliforniaTM ECO Extension Compression Orthosis, manufactured by Orthomerica®, is available from PEL Supply. The ECO was developed to comfortably extend the thoracic spine, unweight the wedged vertebral body, and stabilize the pelvis and lumbar spine to promote healing and ease pain. It is effective for individuals with osteoporosis, vertebral compression fractures, thoracic strains, and debilitating kyphosis. Patented California abdominal component provides one-pull, patient-adjustable compression. 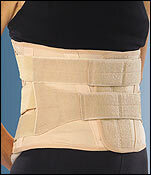 Detachable abdominal component can be used independently as a functional lumbar spinal orthosis. OPTECs NEW Lumbitec LSO and TLSO is designed to support patients at every recovery stage. Made of a breathable cotton-rich fabric. Lumbitec has front and back moldable polymer panels, rear and lateral anatomical stays, and a unique patented traction closure system for maximum compression with minimal effort. Lumbitec provides compression to unload intervertebral discs and immobilize and restrict unwanted motion. During rehabilitation stages, the detachable polymer panels can be removed to create a corset with flexible stays. The remaining flexible stays can be adapted or removed. Lumbitec is available in LSO and TLSO; eight Unisex sizes; standard or mid-profile height; neutral or pendulous abdomen. 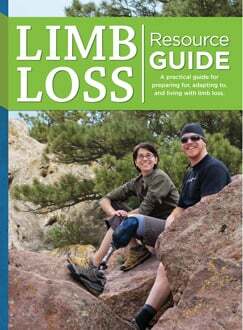 The Torsion Adapter provides up to 25 degrees internal and external rotation, allowing for more natural movement with a prosthesis. The adapters built-in torsion spring provides minimum fixed resistance to twisting. High-performance polyurethane rods, available in three stiffness levels, and set screws can be adjusted to accommodate specific patient needs. The Torsion Adapter has multiple internal cushions to provide quiet operation. Use with standard four-hole adapters, three-prong adapters, or threaded clamp adapters. Weight limit: 250 lb. (115 kg). The FullStride is the stance control option youve been waiting for. Delivering maximum control of varus/valgus instability and knee hyperextension, the FullStride automatically locks and unlocks during the gait cycle, providing natural movement with superior stability and comprehensive knee joint control. Easily converted into an automatic spring lever lock knee joint, the FullStride is also interchangeable with other joints in the Becker Stride Stance Control family. Easy to fabricate and easy to fit, you can pair the FullStride with any ankle joint on the market. Its the logical next step in orthotic stance control knee joints. The Aqualimb is perfect for transtibial amputees. NEW 220 lb. weight limit. Realistically shaped continuous cosmesis shell. Perfect for use in shower and light beach activity. Anti-slip tread pattern on sole. Injection-molded components assemble in minutes. SPS announces the immediate availability of the new Vista adjustable collar, manufactured by Aspen Medical. The innovative design of Vista allows practitioners to apply the collar and adjust to proper heightno need for sizing charts or extra inventory. Dial Height AdjustmentSimply pull and turn the dial to select one of six Vista height settings. Automatic LockReleasing the Height Adjustment Dial automatically locks the size. Unparalleled Patient AccessEnormous tracheal aperture provides functional access for airway management and other essential procedures. Effective Motion RestrictionProvides safe, effective motion restriction for all patients needing extended wear collars. "There are cases where orthotists would like even stronger assist options than have been available from our 742-85 series components so, Im very pleased to announce that Tamarack now has a fully tested design that delivers those stronger options."J. Martin Carlson, CPO, president, Tamarack Habilitation Technologies Inc. The option to choose a stronger assist is available in all three sizes. The durometers may be mixed and matched as always. O&P professionals turn to Tamarack when they need the most durable, highest quality thermoformable joints made. PrefabricatedAFO blanks made from 3/16-in. natural copolymer are now available from Spinal Solutions. These AFOs are anatomically correct and come lined or unlined. Available in four sizes (S, M, LG, XL) at an unbelievably low price! Lower-extremity central fabrication services also are now available from Spinal Solutions. All styles of plastic AFOs, KAFOs, and HKAFOs are available. Best value guaranteed! Receive a FREE 30-Can Rolling Cooler with every SPS purchase order for a Silhouette" prosthetic foot, manufactured by Freedom Innovations. This offer is valid on all orders placed from April 1 through June 30, 2007. 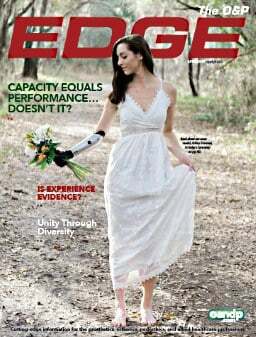 The lightweight Silhouette features smooth contours of carbon-fiber construction producing a flexible, highly responsive prosthetic foot. Multi-axial rotation complements the slim forefoot design. Providing additional fitting options, the Knee Pyramid Adapter (P/N AC-195) provides compatibility between all prosthetic knees that accept a 30mm pylon and the Silhouette. The Versa Clamp accommodates a pin locking system or provides a fix when a Silhouette pylon has been cut too short. Using innovative, guided ramp and micro-cell technology, the improved Venture® Foot provides a wide range-of-motion for virtually any activity with increased durability and NEW 275 lb. (125kg) weight limit. Multi-axial with rotation to easily adapt to any terrain. Energy storing capability to reduce fatigue. NEW 275 lb. (125 kg) weight limit. Smooth transition from high- to low-level activities. 30-day trial period and three-year warranty. VentureThe Ultimate Fusion of Power and Agility. Fillauers new and improved knee joint has the strength to rule. Accepts 3/16-in. or 1/4-in. uprights. Enhanced release lever allows for finger-pull or bail rod. Contained mechanism keeps out debris. Secure, automatic locking at full extension. SPS and KISS Technologies LLC now offer full distribution ofKISS Technologies complete line of products throughout the United States. KISS, an acronym for "Keep It Simple Suspension," is an enhanced prosthetic suspension system that virtually eliminates pistoning and rotation, even with volume loss or gain. Low-profile KISS can be used with ANY covered roll-on locking liner. 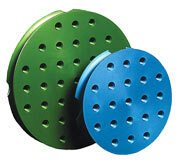 KISS technology utilizes an innovative pulley-action system that eliminates the need for a pin. The distal locking base can be: (a) thermoformed into a flexible inner socket, (b) laminated directly into the socket, or (c) screwed into a threaded CENTRI® Lamination Adaptor. and UniLock versions. A multi-concentric joint for adjustable control of hyperextension is also available for infant and pediatric applications. Visit OTS at the 2007 Academy meeting to see an example of the Matrix-Alloy Lamination System" incorporating OTS lightweight alloy joints. The Axtion® DP is the newest product to come out of Otto Bocks incredible line of feet. Its design delivers high performance for active patients who enjoy demanding activities. This carbon fiber foot incorporates ultra-lightweight materials in a pylon design. The Axtion DP features include torsional rotation and terrain compliance for even more stability. Clean air is a major concern for orthotic and prosthetic facilities. The unique Kleenaire purification system is an invaluable tool for making your facility OSHA compliant! The pre-filter in the patented Kleenaire system filters dust from the air while the charcoal filter absorbs offensive odors! No disruption to employees or facility. Continuously recirculates air, eliminating need for costly ductwork for outside ventilation. See us at Academy booth #104. 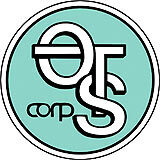 Orthotic & Prosthetic Components Inc. The Black Iron Master (BIM) provides unparalleled security and stability for heavy weight, bench pressing, dumbbell flys, dead lifts, squatting, etc. It is also useful for adapting to a wide variety of other exercise equipment available in modern fitness facilities. Consistent with being the industrys innovation leader, we are the first company to incorporate silver yarn into a sheath product. Embedded with X-Static® silver yarn, Comforts Silver Liner Sheath" helps eliminate skin problems common to many liner wearers, including dermatitis, rashes, and odorall without compromising suspension. Prosthetic practitioners are advised to consider the Silver Liner Sheath for their patients. Call Comfort Products for a FREE SAMPLE. Receive a FREE "Catch the Wave" T-shirt with every SPS purchase order* for an ICEROSS® Stabilo or Dermo 3mm locking liner with the Wave feature. *Offer is valid on orders placed through May 31, 2007. The bendable section of the Wave functions like the bendable section of a drinking straw. The circumferential wave design of the liner fabric extends over the front of the knee providing additional elasticity and reducing pressure over the patella and energy to bend the knee. Please specify your "Catch the Wave"T-shirt size preference (LG, XL, or XXL) when ordering. Introducing the Women's Fisherman shoe, which combines all the biomechanical features of Orthofeet's depth shoes with summer comfort and chic. Stretchable upper construction: Shapes to the contours of the foot, eliminating pressure on swollen feet, bunions, and hammer toes. Breathable fabric lining: Padded with foam; provides excellent protection against irritations and enhances comfort. Anatomical last: Extra depth ensures a relaxed fit and freedom for toe movement. Cushioning wide sole: Ergonomic-Stride design enhances stability and assists the body to propel. MC ETD: Rugged and water resistant with quick response. Options include four-position flexion wrist and titanium hook fingers. U3: Improvements to the U3 Arm are in process. Watch this space for more! More new products and improvements coming in 2007. SleeveArt® laminating sleeves are not just for prosthetic sockets anymore. Now available in adult AFO or KAFO and pediatric AFO sizes, SleeveArt laminating sleeves provide a new way to put a smile on your patient's face. Shown here is a pediatric AFO laminated inside and out with "fishy." 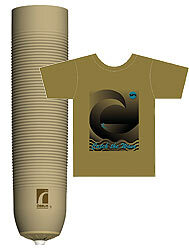 All SleeveArtlaminating sleeves are fabricated from quality spandex. AFO laminating sleeves are reasonably priced and are available in any SleeveArt design. Visit our website for the latest selection from more than 40 styles.